After fulfilling the Flameseeker Prophecies, our actions have released a small army of titans across Tyria. It was foreseen by Glint that the mursaat would die in such an event. Even after the death of their race, titans persist and now threaten humans and dwarves. Through the power of her ancient magic, she may live inside a tiny grain of sand, but a small monument has been placed here in Droknar’s Forge to commune with the dragon. 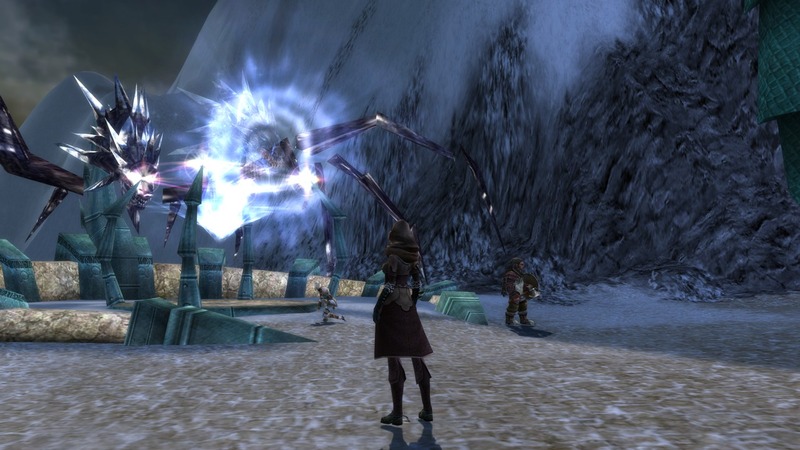 This vision of Glint gave Erolin S. and I instructions to destroy a titan lord and its army in Mineral Springs. This is not the first time I have been to Sorrow’s Furnace. While traveling the Shiverpeaks, I helped the dwarves with a few tasks involving this area. This time I thought I would fully explore this curious place. I decided to put together a team of expert adventurers to accompany me. Erolin, Forbidden V., Goober K., and N. Squirrel were the lucky (or perhaps unlucky) souls willing to help out with my final assault on Sorrow’s Furnace. Besides exploration, our main objective was to defeat the Stone Summit’s dreaded Iron Forgeman. Entering Sorrow’s Furnace, we were immediately drawn into battle with some Stone Summit Dwarves and their Dredge slaves. The interior of the cavern was filled with all manner of dwarven machinery and grim looking architecture. The air is filled with a strange and pungent odor, undoubtably caused by all the mining. 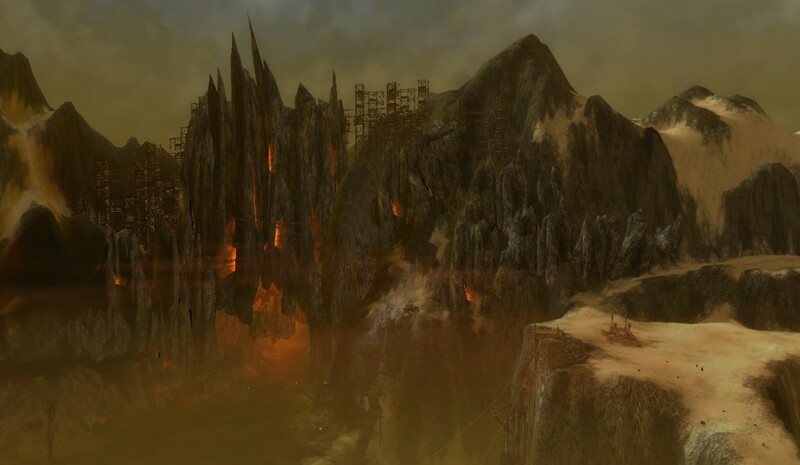 Everything I was sensing told me to leave immediately, but at the same time I felt an obligation to prevent the Stone Summit from becoming a menace like the Charr. With my friends Kaileen and Claire, we sat around a campfire in Deldrimor Warcamp to discuss exploring Grenth’s Footprint. This area and its passage way into Sorrow’s Furnace are somewhat new to us, and it was decided that they would only help me for the first area. Not knowing what lay ahead of us I think it’s the best plan for success. Although funny enough the very same outpost that we are in was originally setup by the two Marshalls as a camp to explore the Shiverpeaks from, and was only recently rediscovered. Erolin and I finally reached Lornar’s Pass after fully exploring Dreadnought’s Drift and Snake Dance. I expected to be tired from walking all the way here, but I felt invigorated and eager to take on whatever this area has to throw at me. 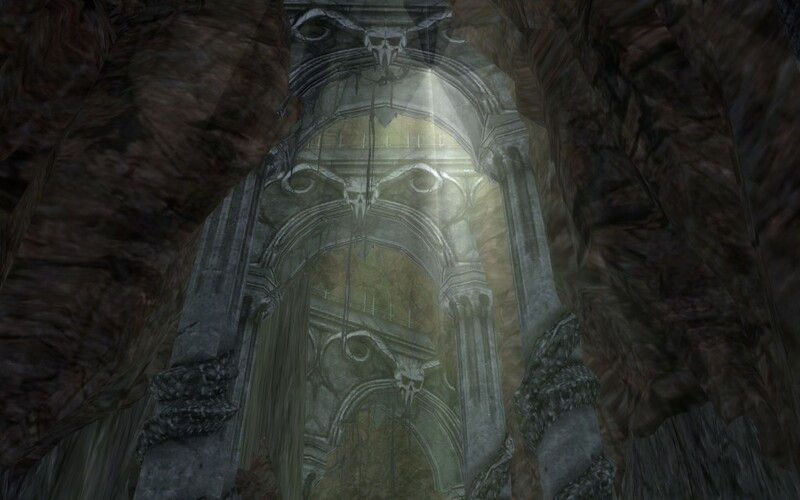 While I had focused my thoughts on battle, Erolin pointed out a massive shrine to Grenth ahead of us, but expressed her opinion that we should visit it after completing our expedition.